MainAll NewsRadioWill the shaky coalition survive another year? Can Netanyahu somehow hang on with a razor thin 61-seat majority in the Knesset? 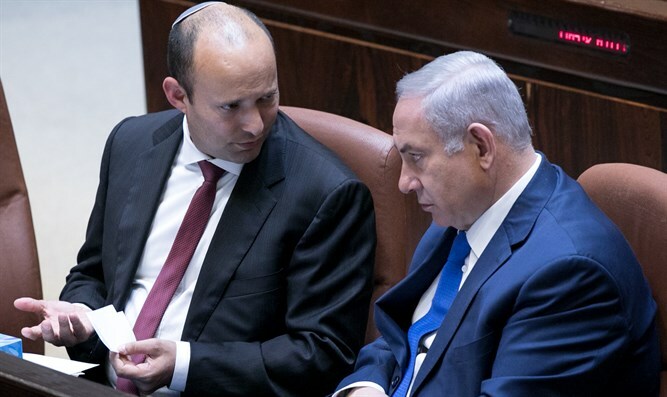 While Prime Minister Binyamin Netanyahu is trying to salvage his government, indications at this point show that Israel could be headed towards early elections. Defense Minister Avigdor Liberman has already resigned, and while Ministers Naftali Bennett and Ayelet Shaked this morning decided to remain in the government, can Netanyahu somehow hang on with a razor thin 61-seat majority in the Knesset? Also, despite the political turmoil and the chaos caused by Hamas this past week firing nearly 500 rockets at Israeli towns, Israel is on pace for a record number of tourists visiting the Jewish State in 2018. Josh Hasten discusses these topics and everything else making news on this week's show.